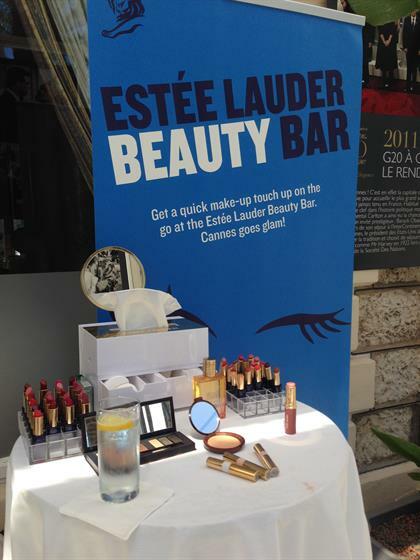 Microsoft is currently activating at the Cannes Lions (21-27 June) with a beach club installation, while beauty brand Estee Lauder is offering delegates mini makeovers throughout the festival. The Microsoft Beach Club is hosting a number of brands, such as Coca-Cola and MTV, in its Fast Talks series. The activation has been designed to showcase the tech brand's products, such as mixed reality platform Hololens. Another augmented reality product on show is Blippar, which is highlighting its work with brands such as Stylist magazine and Somerset Cider. The company has also created a one-off Cannes feature, where delegates can scan any image of the festival's lion logo to get the latest information on parties and events. Microsoft has also set up its Surface Hub outside Le Palais. Here, the brand is hosting a showcase with different charities, including the Special Olympics, the Bullying Project and Team Gleason. The installation features a giant Surface Pro 3 that guests can use to create digital artworks. Amid the flurry of tech brands activating at the festival, beauty brand Estee Lauder has also set up shop in the Salon La Côte, part of the Carlton Hotel. The dedicated Beauty Bar features the company's latest products. Guests are offered a seat in a director's chair and a mini makeover with a dedicated artist throughout the festival.